Lynne Roszell of SARM (left) and Barb Ziesman, plant pathologist with Sask. Ag., answer questions about clubroot in canola at an event in Melfort on Tuesday, Feb. 12. The Top Notch Farming hosted by SaskCanola. With the risk of losing 100 per cent of a canola field to clubroot, there is a serious push to have farmers take some measures to reduce the spread of the disease. Producers gathered in Melfort on Tuesday, February 12 at a Top Notch Farming event hosted by the SaskCanola, and one of the hot topics was the spread of disease in the Northeast Region. “Clubroot is here in Saskatchewan, but it is limited to a number of fields,” said Barb Ziesman, provincial plant pathologist with Saskatchewan Agriculture. The downside is they also know it is undetected in some fields. Canola clubroot is caused by Plasmodiophora brassicae, a pathogen that can live dormant in soil up to 20 years and is often spread by farm machinery as it moves from field to field. The pathogen causes swellings to grow on the canola root and eventually kills the pant. Once a field is infested, it is there to stay but there are several ways for farmers to reduce the numbers of the pathogen and the stop the spread. A three-year crop rotation is key along with growing clubroot resistant varieties of canola. The concentration of the pathogen lessens in the years canola is not grown. “It’s key to use those together,” said Ziesman to an audience of about 100 at the Kerry Vickar Centre. Just because farmers have not yet seen the problem in their fields, doesn’t mean they shouldn’t take precautions. “Anywhere in that northern agricultural region has a higher risk of clubroot,” she said. Farmers have several ways to reduce the spread of the disease to other fields, including cleaning their equipment between fields. That is something at least one producer in the meeting did not welcome, but Ziesman said that if there is no way to pressure wash equipment, farmers should at least take 10 minutes to knock the largest chunks of soil off of equipment. “It’s not OK to do nothing,” she said. If a producer knows they have a clubroot infected field, they should seed that one last and avoid working it in wet conditions along with reducing tillage as much as possible. The highest concentration of spores is found at the field entrance, so farmers may want to consider having a separate exit as far from the entrance as possible. Waterways, low spots and old yard sites or grain storage areas all have higher concentrations of the spores. Producers can ask to have their fields inspected but can also keep an eye out for brown spots in the crop. Growers should also be aware the resistant varieties doesn’t mean they won’t get any clubroot, it means the balls on the root will be smaller and their yields will be better than using a non-resistant variety. The disease first manifested in a heavy way in Alberta near Edmonton in 2003. That province now has over 3,000 infected fields. The disease is worse in the northern fields and is found in higher concentrations in soil that has low PH. Lime can be used to increase PH levels (over 7.5 is key) but could get costly if covering an entire 160-acre field. Certain other crops, like mustard, camelina and brassica vegetables will still host the spores. While producers are encouraged to report clubroot, and can do so anonymously, RMs may have their own bylaws regarding the problem, said Lynn Roszell, who talked about the Saskatchewan Association of Rural Municipalities (SARM) Pest Biosecurity Program. “RMs are being encouraged to have clubroot bylaws,” she said. SARM has created templates and has both a sample clubroot bylaw and a club root policy available for council’s to use. RMs are also being encouraged to create their own clubroot management plan. About 80 people were in attendance at the Manitoba Canola Growers AGM held last week at CropConnect in Winnipeg. Executive Director Delaney Ross Burtnack says it was a good meeting. "No resolutions this year but I still have a pretty good list of things to look into on our members' behalf," commented Ross Burtnack. "Conversation about seed prices and how we can manage the increasing seed prices in canola. 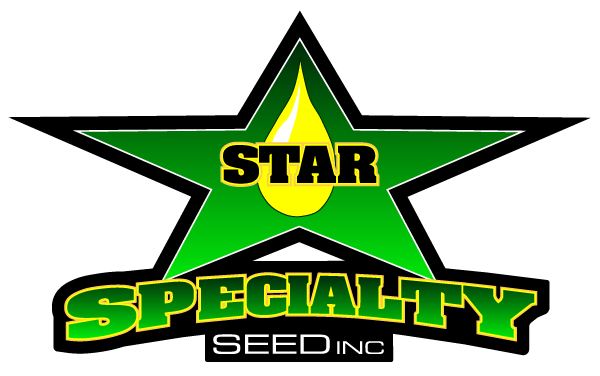 Questions about seed treatments and some of the challenges going on with the neonicotinoid products and Pest Management Regulatory activities there." Clubroot and tight canola rotations were also discussed at the meeting. Ross Burtnack notes there will be no changes to the board in 2019, with Starbuck farmer Chuck Fossay remaining on as President. 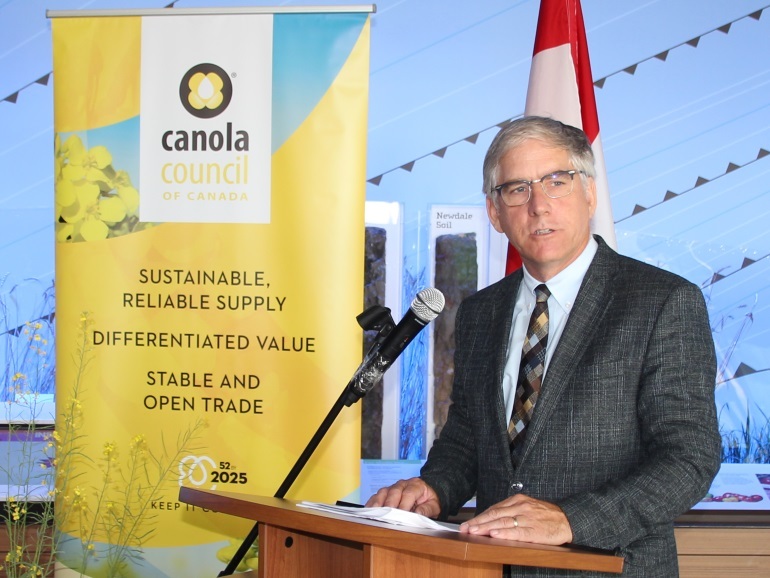 The organization is expecting canola acres to remain constant this year, a little bit above the three million acre mark.